If you are a long-time reader, you might remember a previous giveaway we did with Natural Selection II. We ended up only giving away two of our three copies due to a lack of interest by the time the third round of the giveaway came. However, now we are back to giveaway our last copy of NS2! Although not Blizzard or World of Warcraft related, Natural Selection II is a fun and interesting take on the first-person shooter and real-time strategy genres. At a basic level, it is a pseudo-FPS that pits a team of aliens versus a team of humans. However, elements of RTS is added to the mix because each team has a player-controlled commander that can make buildings, fortifications, upgrades, and more to swing the tide of the battle. Entering the giveaway is easy! Just follow us on twitter (@Healcraft) and retweet this. You may do this once per day for entry into the giveaway. We will be adding everyone to a spreadsheet after they follow and retweet us. Then, two weeks from now (4/28/14) we will use Random.org to choose a winner from the list. Only one entry per day per person is allowed. Attempts to make more entries may result in disqualification. The keys are not for resale. You must be following our twitter at the time winners are selected. You must have a valid steam account to receive the giveaway. This is a free-to-enter giveaway; any financial contributions or donations to Healcraft.net will not result in higher chances to win. It is that easy! 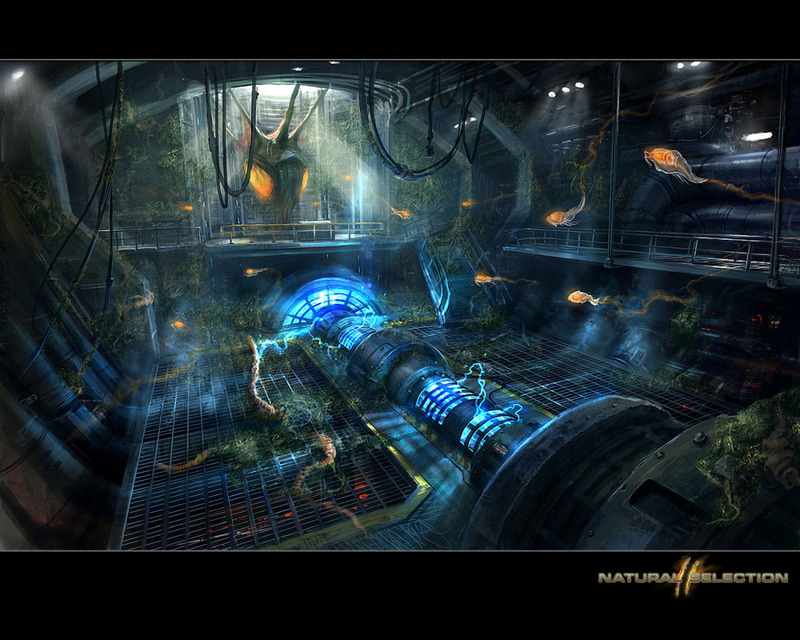 Just follow us on twitter and retweet our announcement to enter for your free copy of Natural Selection 2! If you have any questions regarding this giveaway please comment below or shoot us a tweet. Good luck! *Healcraft.net staff refers to “full time” employees. Part-time or freelance contributors are not barred from entry. During today’s maintenance, several servers came back online for a few minutes. 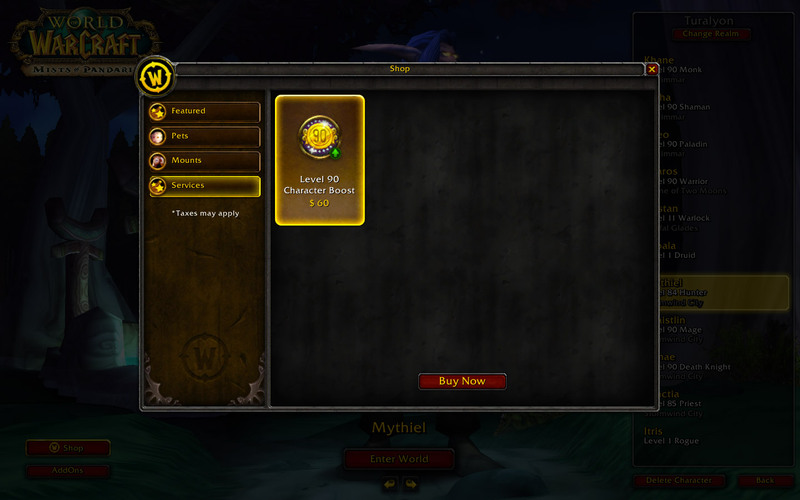 While this was happening, a few players were able to log in and snag a screenshot of the in-game store, which now has the “Level 90 Character Boost” option available for $60. The opening ceremony of Blizzcon is over and there have been a ton of announcements. We are putting up a post for a general recap of the entire ceremony, but this article focuses on the new World of Warcraft expansion, Warlords of Draenor. Blizzcon Updates on Twitter All Day! Healcraft.net will be providing all the breaking news from Blizzcon via our twitter account all day. Be sure to follow us to keep up to date with the latest from Blizzcon! Of course, we will be putting up full sized posts on announcements once they are substantial enough. MMO-Champion just broke news of a new trademark filed by Blizzard Entertainment. According to MMO-Champion, Blizzard trademarked the title “Warlords of Draenor” in New Zealand and Australia. Could this be the new expansion title? It seems likely. Minutes ago, Blizzard launched an official Heroes of the Storm webpage. Heroes of the Storm was allegedly trademarked to Blizzard less than a month ago. However, there was speculation on if the trademark was a red herring, filed falsely under Blizzard’s name, or a new franchise for the developer. The name was unlikely to be that of the expected World of Warcraft expansion, and their other franchises’ expansions already have announced names. I have been vocal in the past regarding the state of restoration druid healing. Siege of Orgrimmar brought many positive changes to druid throughput, as well as helping our toolkit where it was previously lacking. This article will explore the changes we’ve seen over this expansion, where we sit in the healer meta, and what might come next. This is Part II, click here for Part I. Remember that these are first impressions, and only reflect the author’s opinions of week one of normal modes – take it for what you will.